A few days ago, I noticed a strong odor coming from the bathroom. No human had recently been in there, so I felt the need to investigate the source. I found a fresh, poorly formed dropping that I could immediately identify as belonging to Theo , my goffins cockatoo, who is potty trained and will go to her cage or into the bathroom to relieve herself. So Your Parrot Laid an Egg! 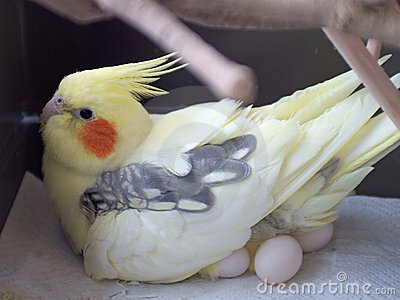 A bird laying an egg is the most natural thing in the world. Still, we humans always seem so surprised when it happens.